After removing your article of clothing, simply wipe up the oil stain as much as possible with a paper towel, and then saturate any remaining stain with blue Dawn dishwashing soap. Launder clothing as usual and then hang dry. If the stain still persists, repeat the entire process. 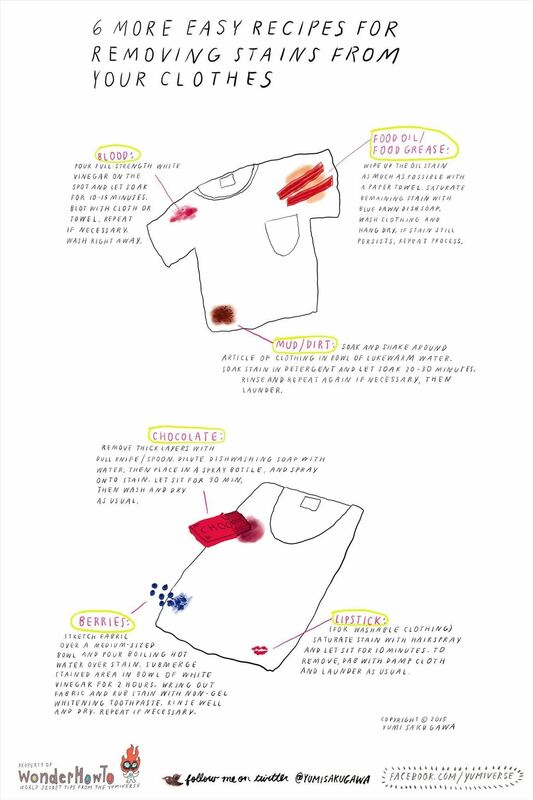 Read below for DIY remedies for removing other common and difficult stains, such as lipstick, dirt, blood, and more. Don't forget to also check out 6 Easy Recipes for Removing Nasty Stains for more tips.